Use according to the individual daily calories. Ingestion of excessive amounts may cause a laxative effect. 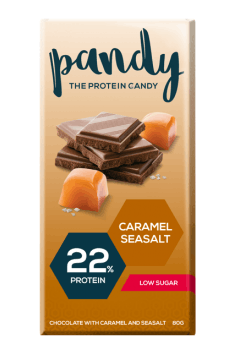 The product is an alternative for traditional chocolate which is much lower in calories. Despite that, remember that it belongs to sweets and should not be a regular part of your daily diet, like other sweet treats. It should be treated as sweet snack, consumed from time to time. Its sweeteners may have a laxative effect when consumed in excess.